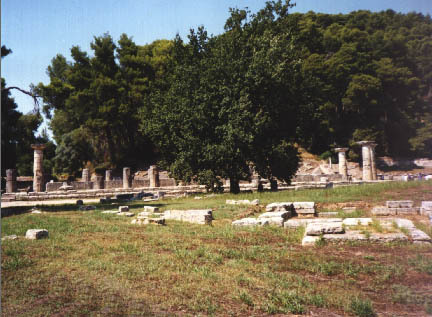 Olympia was the site of the ancient Olympic games. 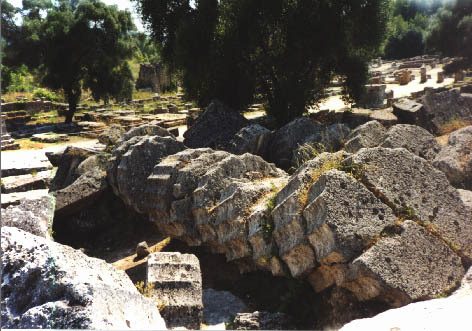 Records of the games (their winners at least) go as far back as 776 B.C. though the games are most likely older than that. It is said that the original games were to commemorate one of two things. The first being Zeus’ defeat of Kronos in the contest for sovereignty over the world. 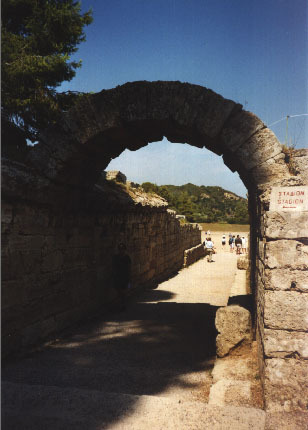 The other reason is thought to commemorate Pelops’s defeat of Oenomaus in a chariot race. What is known is that this little festival had immense popularity, growing from a 1 day event to a 5 day festival. During that time, a truce was called in all wars so all could come and participate. 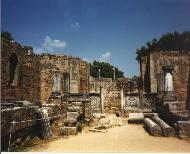 In its heyday, it had spread all over the Greek world. All Greek citizens were entitled to attend and compete,...if you were a male. There are stories of women dressing as men to see their sons compete. But this was dangerous because the punishment if they were caught was death. 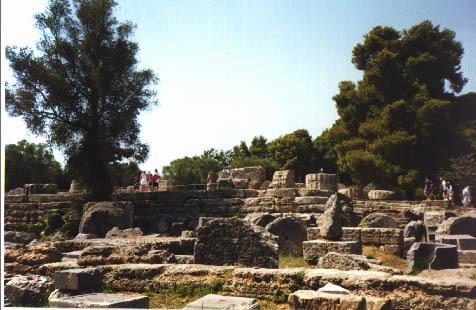 Like in modern times, the ancient games were held once every 4 years. 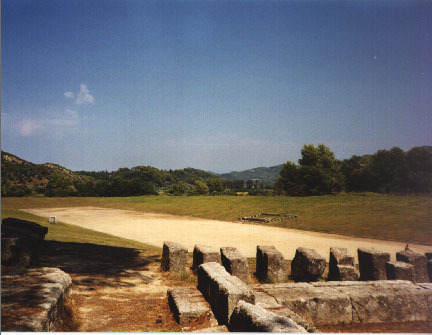 The major events were races, the pentathlon, boxing, the pancratium (boxing and wrestling put together) chariot races, horse races and a race for ARMED warriors. The winners were crowned with olive branches and given sums of money. Also poets would sing songs of praise for the winners. 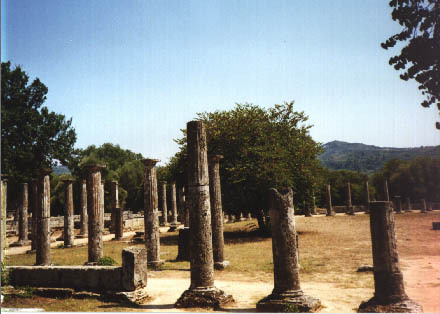 Eventually the Romans took over control of the games, though they were still held in Olympia. Eventually the games stooped (though I can not find why, perhaps with the birth of Christianity). 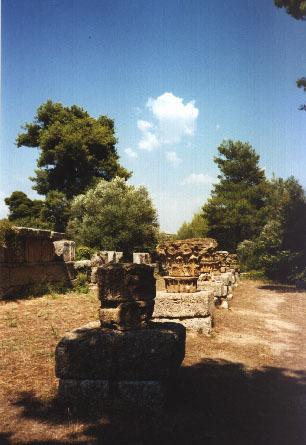 Olympia was also one of the major sanctuaries of Zeus. At this sanctuary, was an huge statue of Zeus. So large in fact, it was considered one of the wonders of the ancient world. I hope you enjoy the photos. Any comments, please E-mail me,.